Every year I look for something new about the events in Bethlehem. I know that the shepherds were taking care of the sacrifical-temple sheep – but this author brought up a related thought. Shepherds were looked down upon as low class. They were often nomadic, going from one place to another with their sheep. You would not see shepherds in the temple with the important rulers and religious leaders of the day. However, because these shepherds were raising sheep for the temple, they had access. They needed to bring the lambs to the priests. Remember, the shepherds went away and told everyone what they had seen? Where those shepherds might have gone was to the temple itself. In that case the news of Christ’s birth would’ve quickly spread. 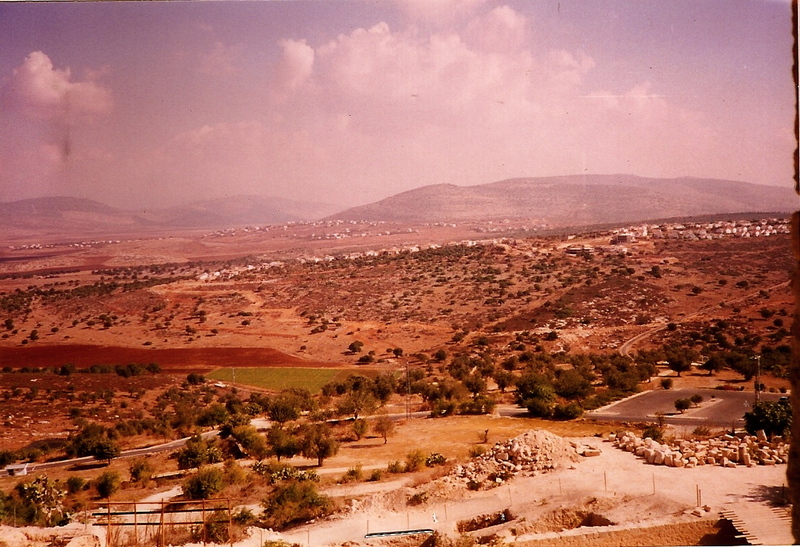 This picture is one I took in Zippori, overlooking the city of Nazareth – it gives a good picture of the hill country in Israel and you can imagine the shepherds taking care of their sheep. In church this morning, the pastor talked about the person of Christ and many of the songs focused on that aspect of Christmas. We concluded the singing with “In Christ Alone.” As we sang the last verse, the lights went off except for a few candles on the platform. The worship leader then sang “Joy to the World” to the tune of “In Christ Alone.” Very cool.